Deer season is just around the corner - Better stock up now! 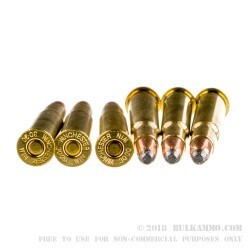 Manufactured by the legendary Winchester Ammunition Company, these brand new, brass-cased, boxer-primed, non-corrosive, and reloadable Power Point bullets are a staple for hunting and target practice. 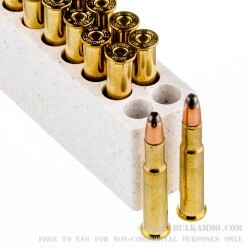 They are designed for extremely fast controlled expansion and maximum impact for the 30-30 rifle shooter. Engineered for maximum impact, these 30-30 rounds are notched around the jacket mouth which improves upset and ensures uniform, rapid expansion. This line of Winchester ammo is one of most common hunting rounds used today. 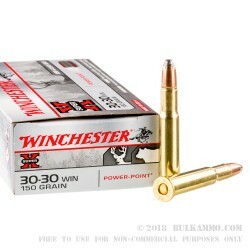 Its popularity is based on its affordability, performance and longevity of the Winchester brand. These SuperX soft lead nosed rounds are designed to drop that deer you’ve had your eye on all summer. Since 1922, Winchester’s Super-X ammunition has provided exceptional quality and outstanding performance for all hunters. The alloyed lead core increases the retained weight for deeper penetration. The notching and contoured jacked allow for consistent and reliable expansion. The power point assures quick and massive knock down power. 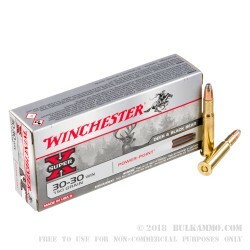 If you need a good 30-30 ammo for your next hunt, look no further!